We can still do this. 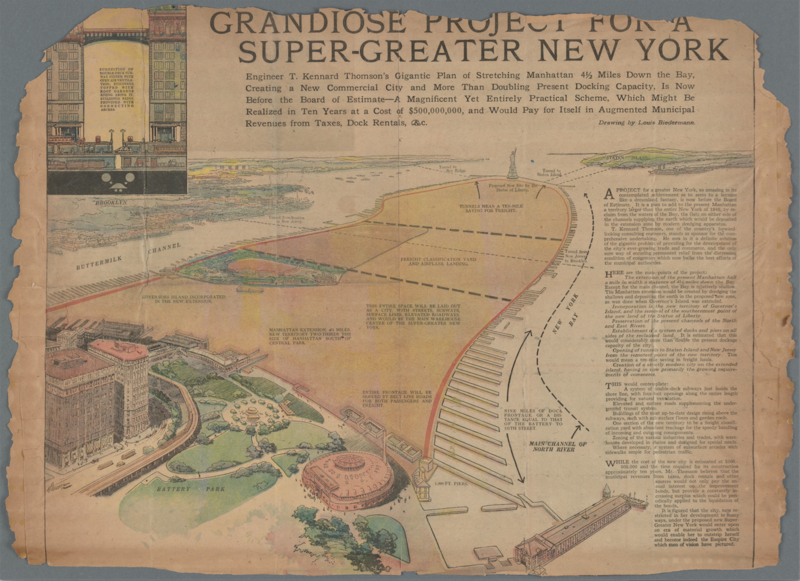 A nice walk to the Statue of Liberty on Landfill Manhattan. 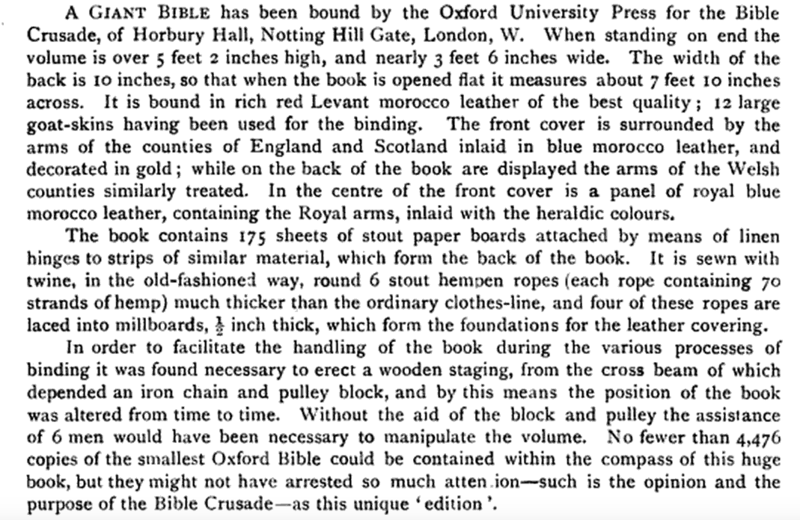 Why, one hundred years later, can I find no extant traces of this massive Bible? The Shopper Chopper is the world's largest shopping cart and you can hire it for events! 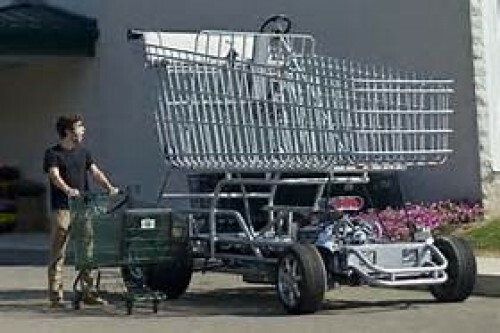 Reminds me of the cart races in the movie Jackass! Those dogs are lucky to have such great humans taking care of them! 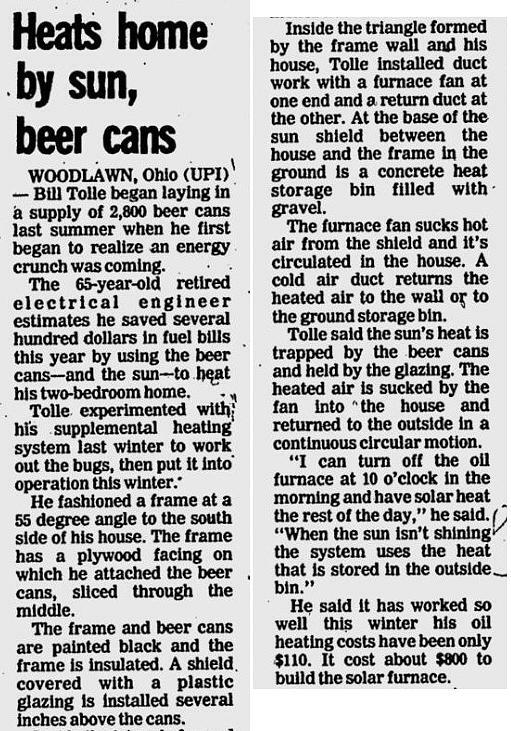 Back in the late 1970s, Bill Tolle of Woodlawn, Ohio figured out a way to use empty beer cans to heat his home in the winter. 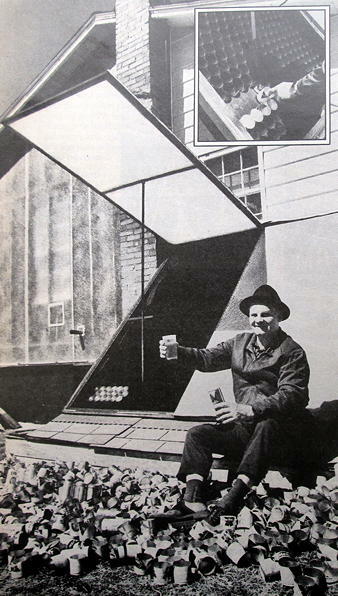 Basically he made a solar heater, with the empty cans trapping the sun's heat. But the beer can angle perked the media's interest. 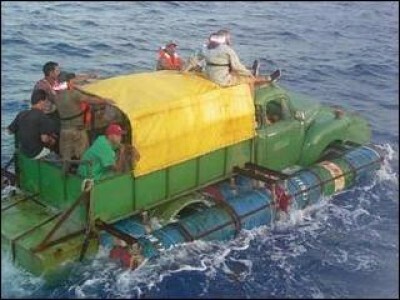 With the recent migrant tragedies at sea around the globe, we must always recall one of the great refugee success stories: turning an old Detroit truck into an ocean-going vessel. Use the same water for weeks? This shower recycles, purifies and then reheats the same water over and over again -- saving water and electricity. Designers claim this shower will use up to 30 times less water and a fraction of the electricity. Since the water is already warm, it needs to be reheated less than cold water. 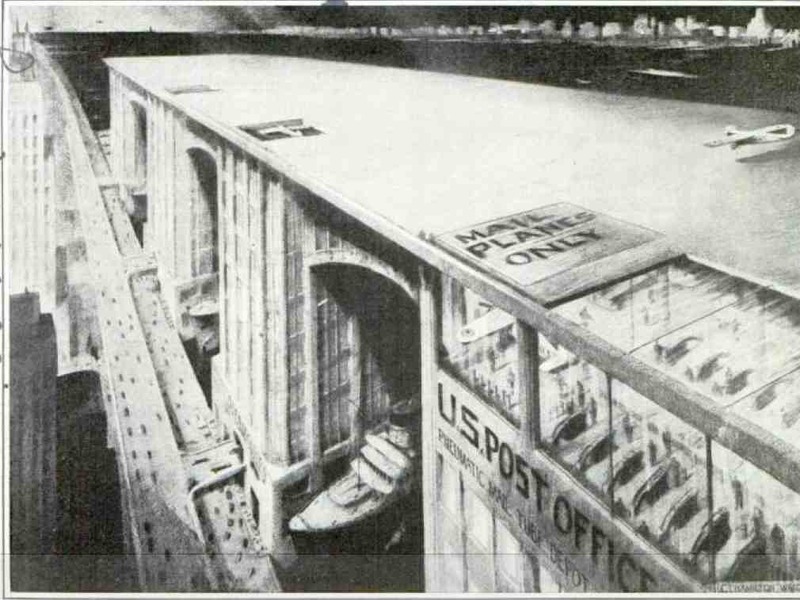 Users would save thousands in energy costs. Developers are thinking of expanding this technology to car washes, washing machines, and other water intensive uses. Water parks? 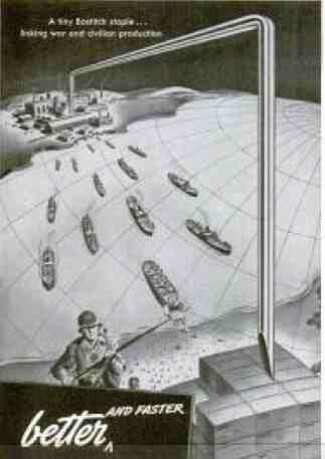 "World War II was won by superior American staples. 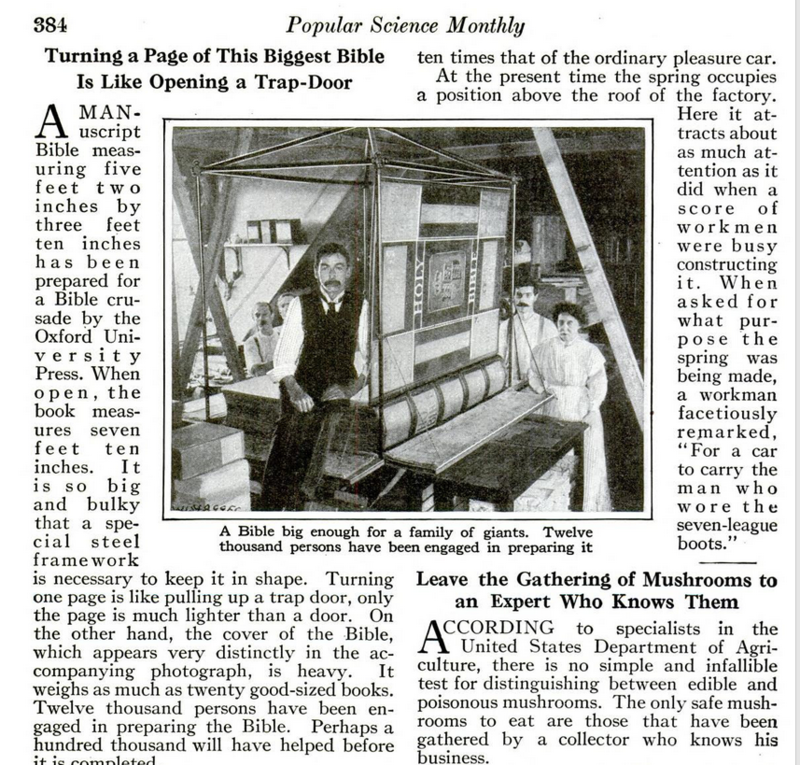 We're not saying that just because we make and sell them." 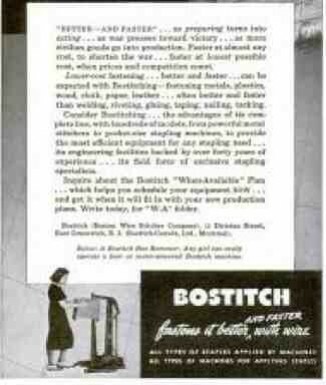 The personal bonus: Bostitch is a company from my home state of Rhode Island.